WASHINGTON — Poland has been pushing toward a purchase of a medium-range air-and-missile defense system for many years, settling on an unprecedented configuration of the Patriot system, but was surprised by the high price tag presented when the U.S. State Department cleared the sale of half of the Patriots Poland plans to buy. According to the Defense Security Cooperation Agency, when it notified Congress last month of the potential sale, the deal could cost the country $10.5 billion for four systems — that is roughly 37 billion zloties — which already exceeds by 7 billion zloties what Poland has said it would spend on the entire program. The DSCA announcement only marks the progress in the first phase of the acquisition. Poland would like to see a second round of Patriot systems with a 360-degree detection capability and the first four retrofitted with the new radar in a subsequent deal. “The high cost came as a surprise for us,” Bartosz Kownacki, secretary of state in Poland’s Ministry of National Defense, told Defense News in a Dec. 5 interview in Washington. The offer from the U.S. included 16 missile launchers, four sector radars and 208 PAC-3 Missile Segment Enhancement (MSE) missiles. The possible sale is a long time coming with Poland and the U.S. struggling through complicated negotiations over the past several years. Poland began its “Wisla” competition to procure a medium-range air-and-missile defense system many years ago, ultimately choosing Patriot in 2014 but, instead of simply buying what Raytheon had at the ready, the country decided it wanted a command-and-control system for Patriot that is still in development by the U.S. Army and Northrop Grumman called the Integrated Battle Command System (IBCS) along with a new radar down the road. 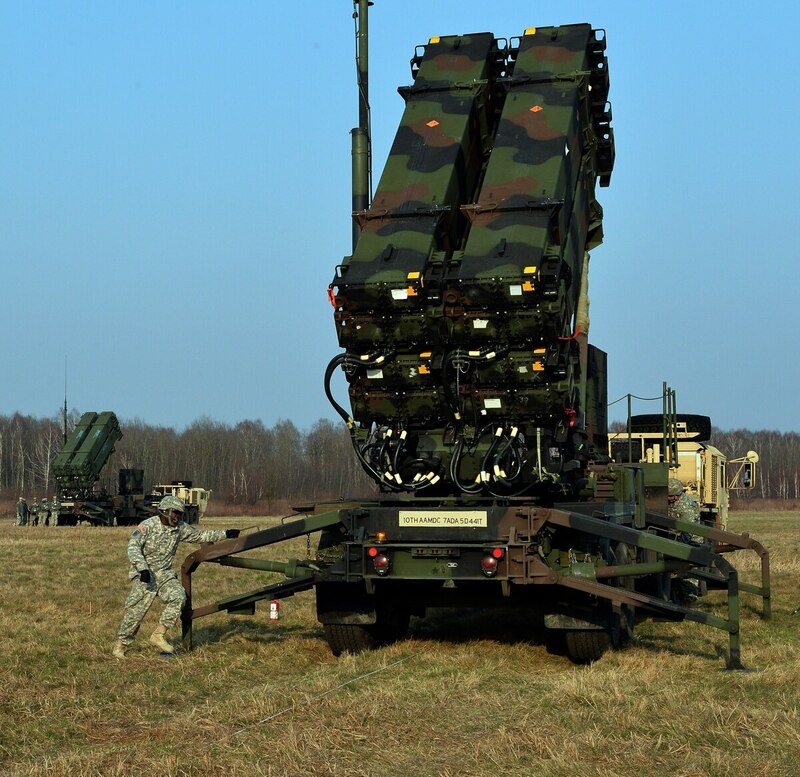 Instead of opting for a simple foreign military sale like Romania did recently when purchasing Patriot, Poland is, in a sense, creating its own integrated air-and-missile defense program. Poland has also been adamant about creating quality defense work for its industrial base and has demanded certain offsets to ensure growth in its defense industry. “We will be doing thorough analyses of the draft Letter of Agreement once it is sent to us,” Kownacki said. Looking at his watch, he said he expected the draft LOA could be sent at anytime and could even be delivered during the interview. Kownacki added that there are other elements of the deal that came as a surprise as well. “For instance, the price of offset,” he said. While some companies involved with the deal gave reasonable prices for offset, “there is one company which presented an unacceptable offset for us and conditions we cannot accept,” he said. And even with the companies that offered reasonable deals, Kownacki said, there will still be an effort to negotiate the price down further. Kownacki added it’s possible that over the course of the negotiations it will turn out that some of the high prices were presented to the country due to a misunderstanding of its offset regulations. Poland changed its offset regulations and there are a number of elements that may not be understood, he said. While the price tag for the first round of Patriots should be higher because of some up-front costs that cover the program as a whole, it should still be proportionately smaller than what Poland plans to spend over the entire life-cycle of the program, Kownacki said. Some analysts in Poland are more than skeptical that the price tag can be reduced enough so the country doesn’t exceed the 30 billion zloties for which its has budgeted to cover the entire program. The U.S. cost estimate already exceeds the limit set by Poland by 20 percent, Marek Swierczynski, of Poland’s Polityka Insight, points out in a recent report. “So it will be good if the first phase negotiations will end at 30 billion zloties,” he writes. He calculates that if the second phase of the program reflects the first phase in numbers, the costs could be “colossal.” For example, the price of one Lockheed Martin-manufactured PAC-3 MSE for the U.S. Army is $5.7 million and, with the offset Poland wants, the cost could rise to $8 million, Swierczynski notes. The PAC-3 order is already reduced to a minimum so there is little wiggle room for price there. And he also writes the low-cost SkyCeptor missile that Poland wants to manufacture as part of the program is currently a wild card, falling in the second phase of the procurement. The future 360-degree radar’s cost is also an unknown because Poland won’t know what it is buying for some time. And adding IBCS to the Patriot system is an additional cost, yet it doesn’t appear to be the reason for the enormous cost of the first phase of the program. Northrop Grumman confirmed to Defense News that IBCS actually makes up less than 15 percent of the total acquisition cost for the Wisla FMS acquisition.